Hello and guten Tag! My name is Amaly from Around The World With Amaly. I am spending a day with you as guest-blogger from southern Germany. I have spent the last few months here in a small town in Bavaria, working for a shopfitting and interior design company called Project Luna, surrounded by the amazing history and quality craftsmanship, carpentry and of course, beer-brewers prevalent in the German region. Proud to say, I am German! German fashion- not something we are always known for- but that’s for those who don’t know…Hugo Boss, Karl Lagerfeld, Escada, to name a few. Here, down in the southern-most state of Bavaria (Bayern), we are enjoying the revival of an old traditional clothing style: Tracht. Tracht (pronounced traaccht) was historically regional peasant dress, until the “Rediscovery of Nature” by the rich and noble families in the 19th century, at which point it became a way to show regional pride. For the last, I don’t know, half century, it stayed that way, used in village festivals and that was about it- until now. 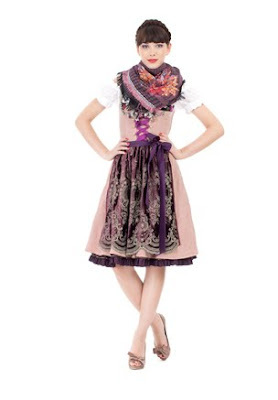 There are some contemporary and utterly adorable ways to incorporate Tracht and tradition into your wardrobe. Lederhosen, previously really only worn by men, are now also made for women (and being worn by many at Oktoberfest). 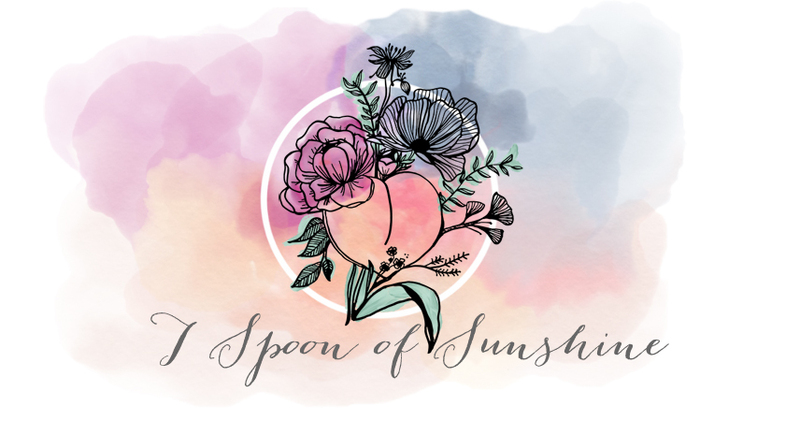 Get a good pair, and they will last you forever (even if you don’t want them to) and although the traditional kind are stiff at the beginning, they get that amazing, worn-in to fit your body thing going on the longer you wear them. Tracht has been influencing fashion on the continent (except for the French, of course) -- Chanel, Zara, Net-A-Porter all carry products influenced by it-- and has spawned a cottage industry of small designers here in Bavaria. 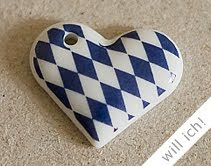 My favourite right now is Porzellaner specializing in porcelain pendants with German folklore and cultural designs- definitely the must-have accessory at Oktoberfest and this fall in Germany! How freaking cute are these things?! Tell me you don’t love them too!